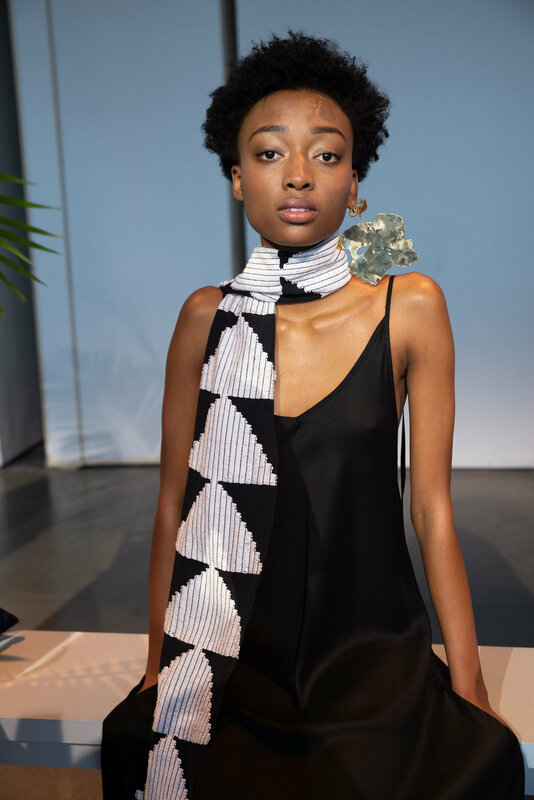 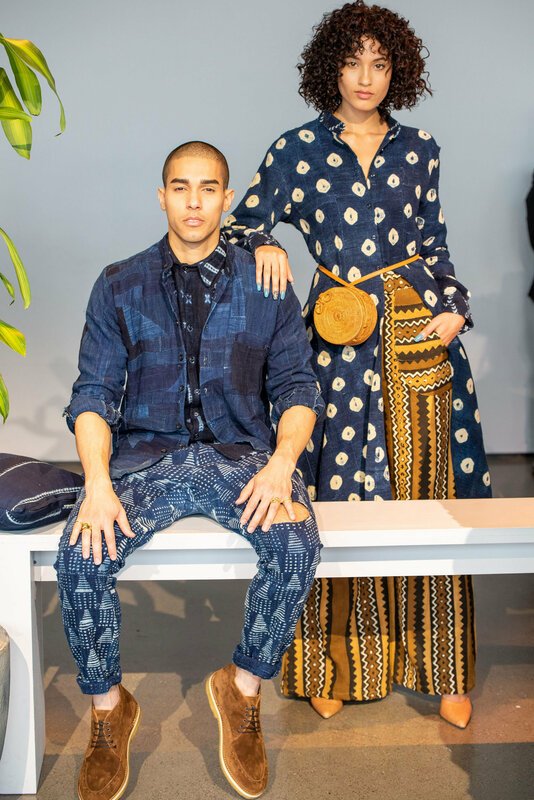 Sustainable fashion brand Studio 189 debuted a stunning fall collection in celebration of their 6-year anniversary at Spring Street Studios during New York Fashion Week. 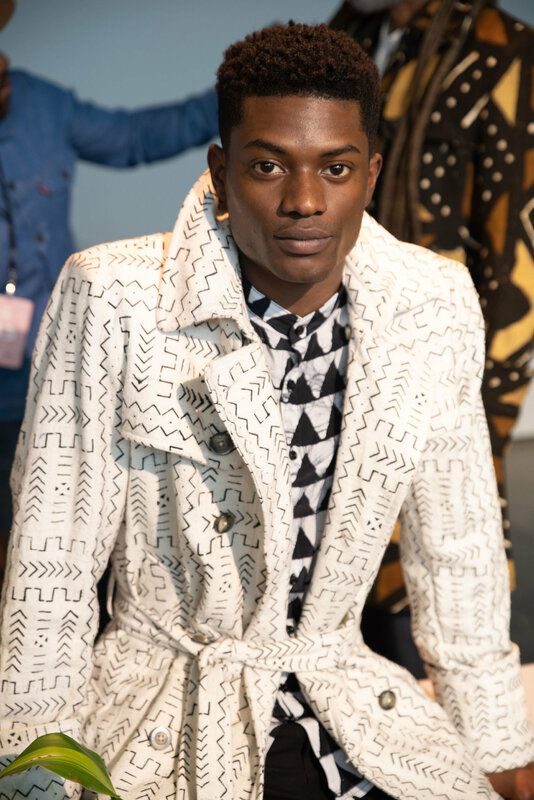 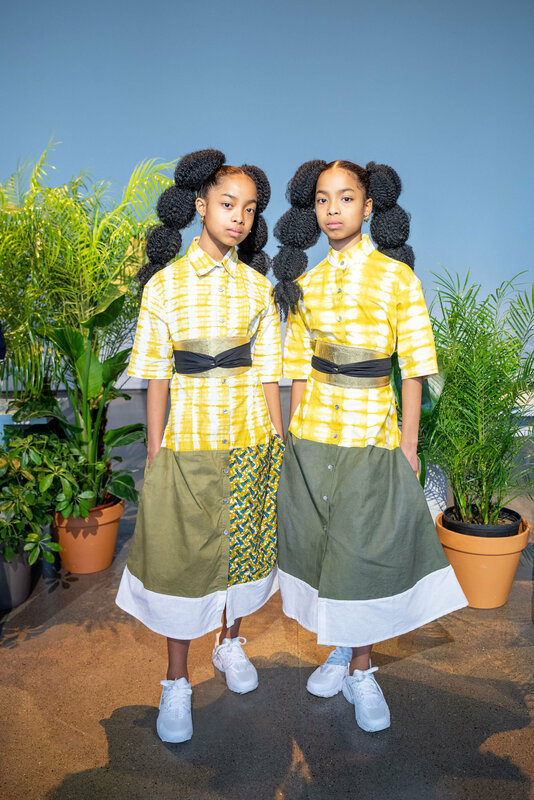 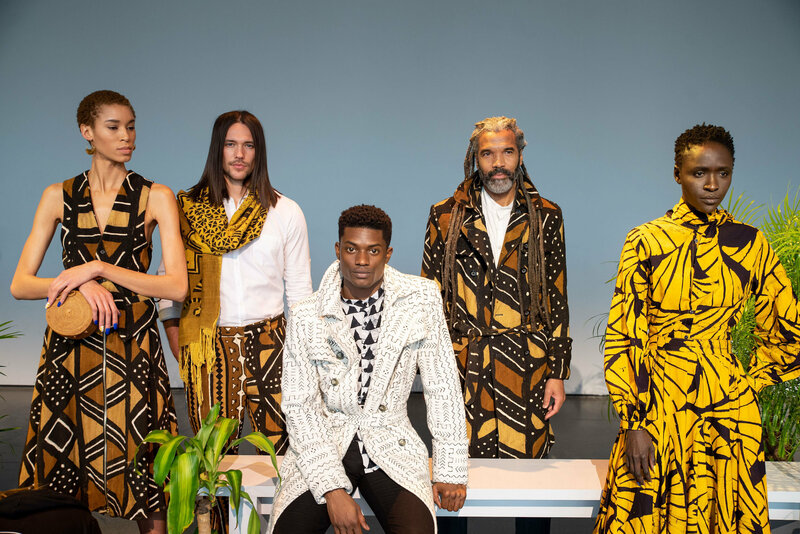 Sunday Best—the brand's first fall collection—is a color-rich nod to vintage family portraits we know so well taken by the revered photographer Malick Sidibé, Moroccan artist Hassan Hajjaj's eclectic contemporary work, as well as Phyllis Galembo's portrait-style documentation of West African masquerade costumes. 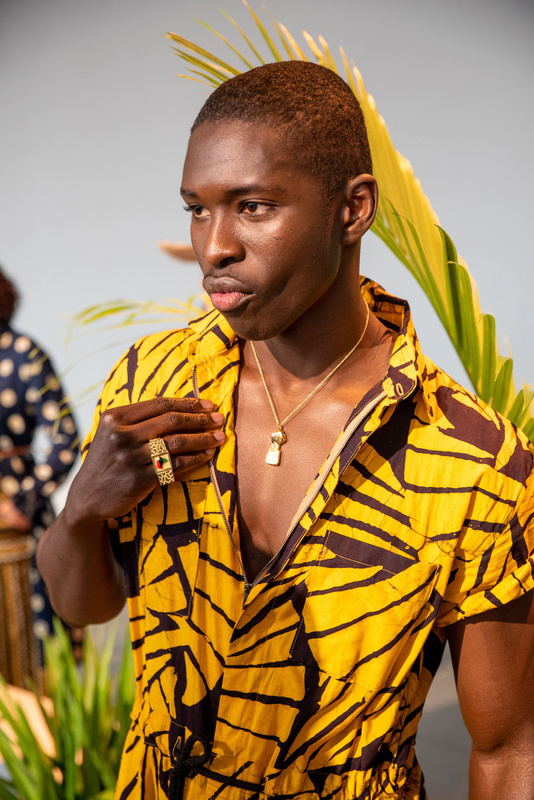 "When we walk around Ghana, for example, we see so many well-dressed people that is reminiscent to us of the old studio style portraits," Abrima Erwiah, co-founder of Studio 189 with actor Rosario Dawson and co-creative director, says in a statement. 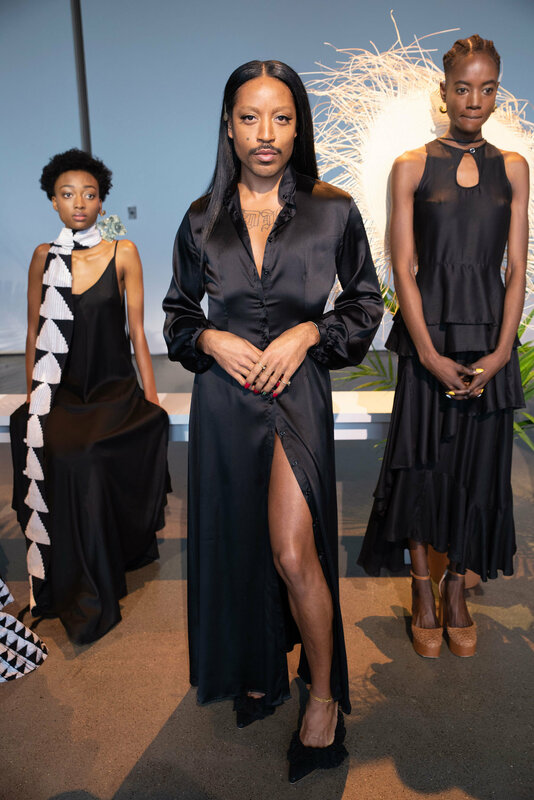 "We love the idea of people dressing their best—a market seller, a street vendor, a doctor or a lawyer—everyone looks equally amazing." 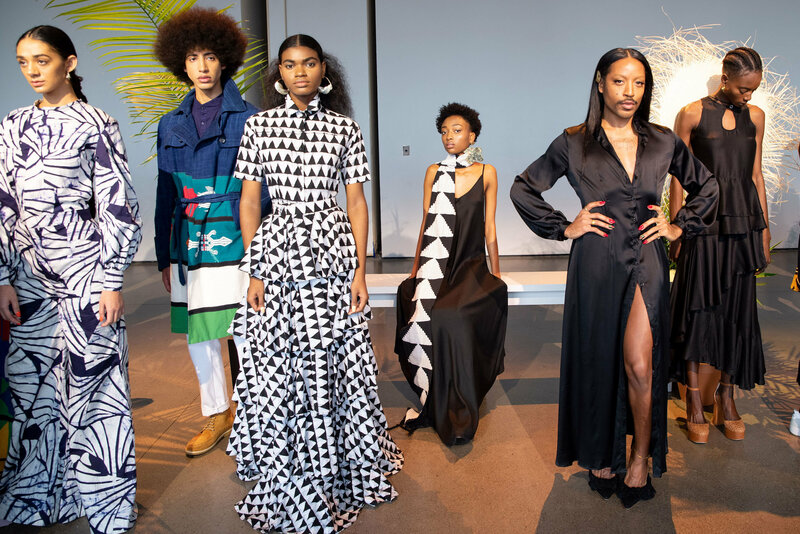 Opting for a presentation in lieu of their straight-forward (and fabulous) runway show last year, their diverse and inclusive models donned the brand's new editions of floor length ruffle skirts, wide-leg, fitted jumpsuits with blouson sleeves along with pouf blouson sleeves and neck ties to their existing silhouettes. 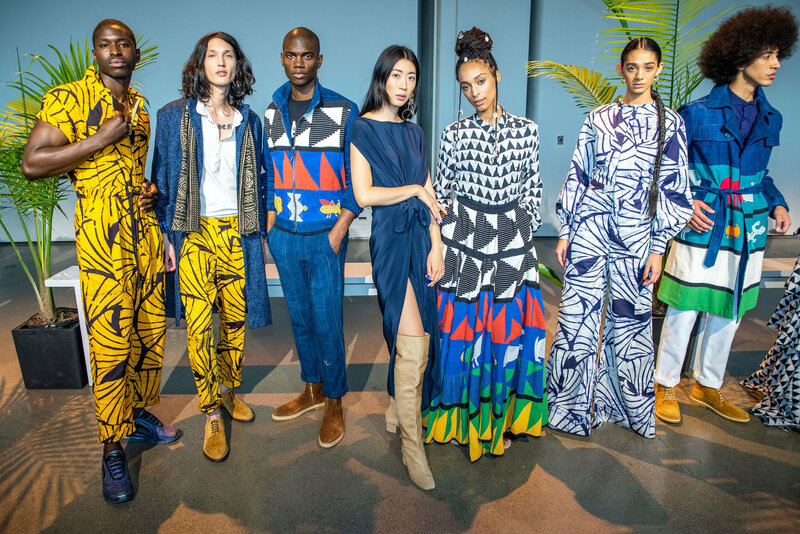 Vibrant hues of indigo, brown and yellow earth tones, with pops of bright red, blue, green and hints of red are a constant in the collection. 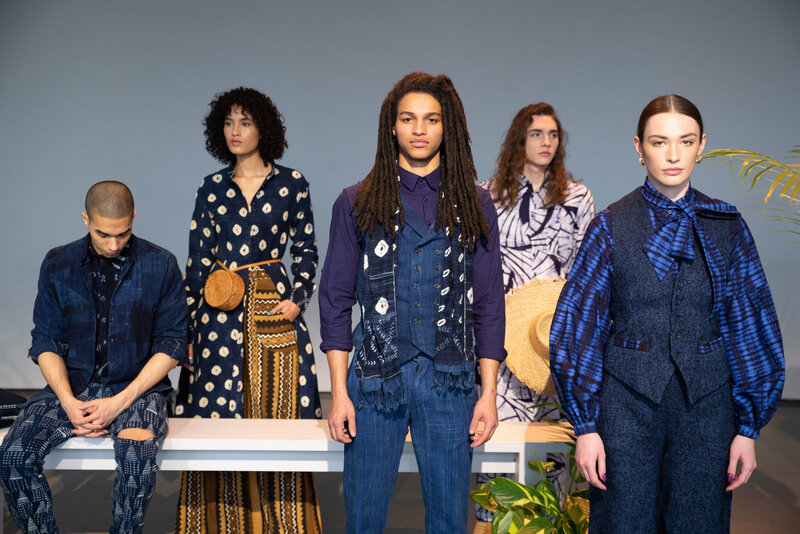 Studio 189 continues to be steadfast and consistent in their mission to innovate the value chain of a single garment. 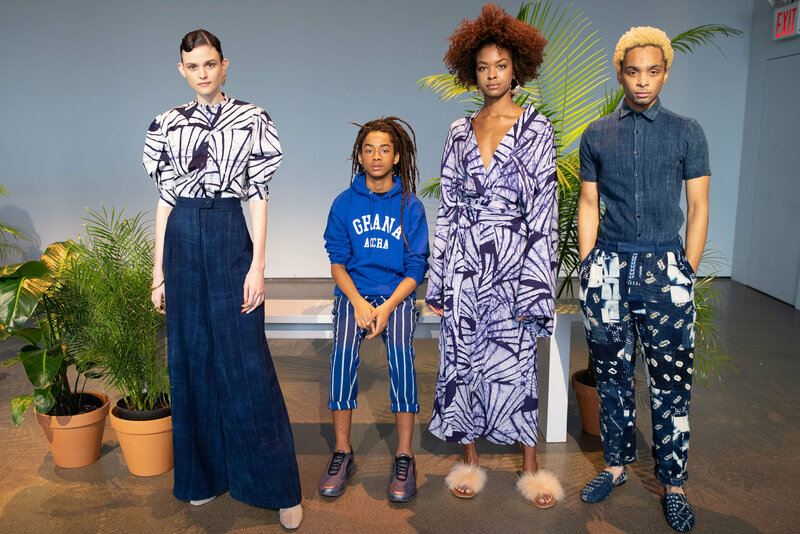 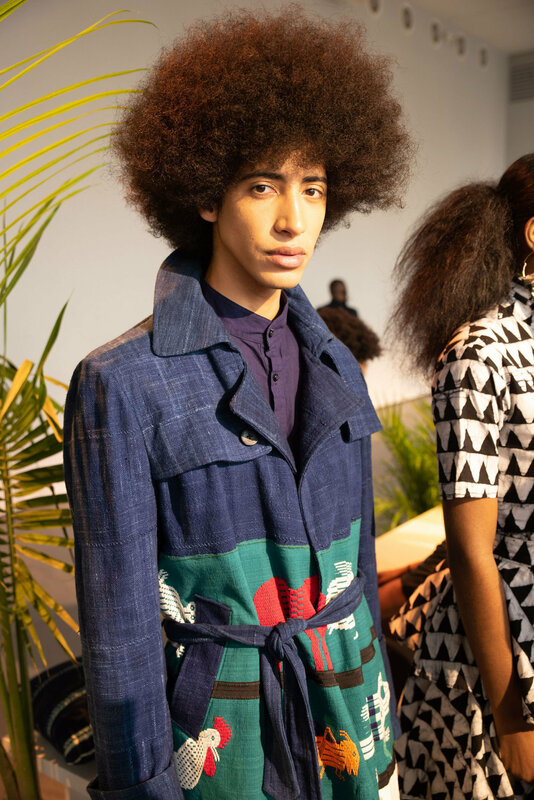 "The Fall 2019 collection was designed with taking key lessons learned from the past, applying them to present day, in order to design a product that is made with the next 50 years in mind," the brand declares. 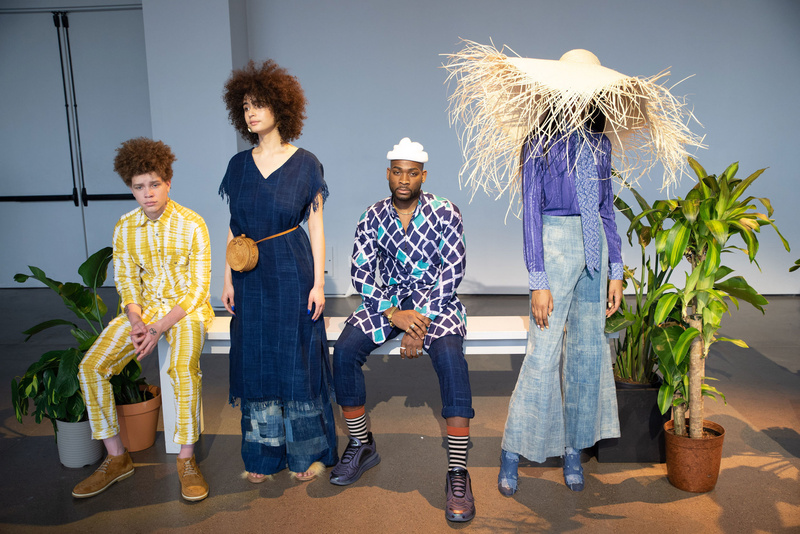 "Our goal is to design products that are built to last and can stand the test of time with circularity in mind." 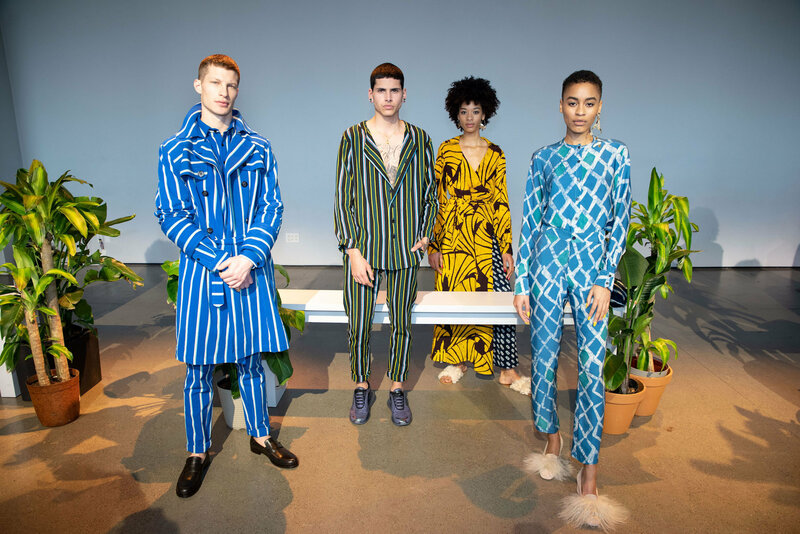 The brand collaborated once again with their artisans and production facility in Ghana, as well as linking with the UN Ethical Fashion Initiative in Haiti and Burkina Faso, as well as design company Xoomba in Burkina Faso. 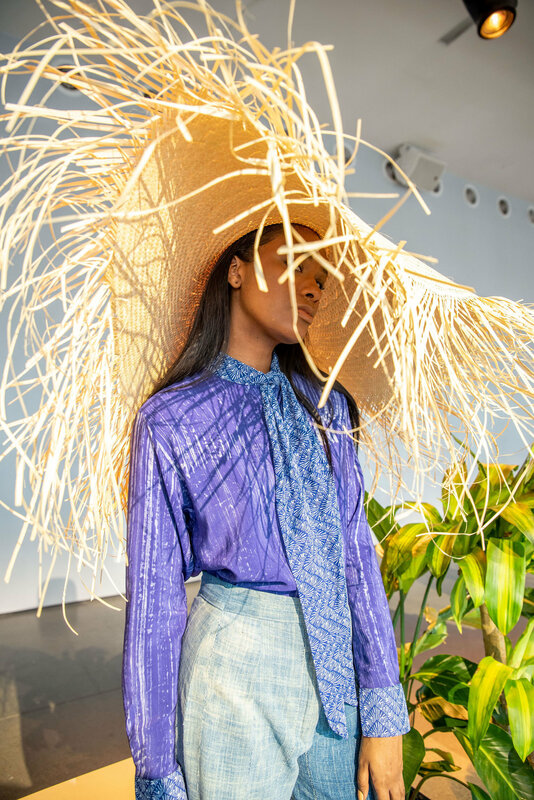 Take a look at our favorite looks from Studio 189's Sunday Best collection, photographed by D'Anthony Photography, below.